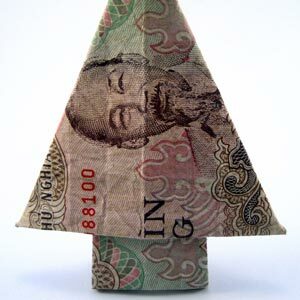 Looking for inexpensive homemade Christmas gifts? 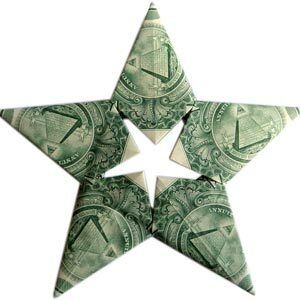 We have fabulous ideas to help save you money, time, and stress this holiday season. 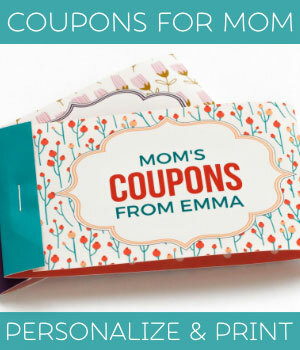 On this page you'll find links to many of our printable gifts, which are all super affordable and easy to make. 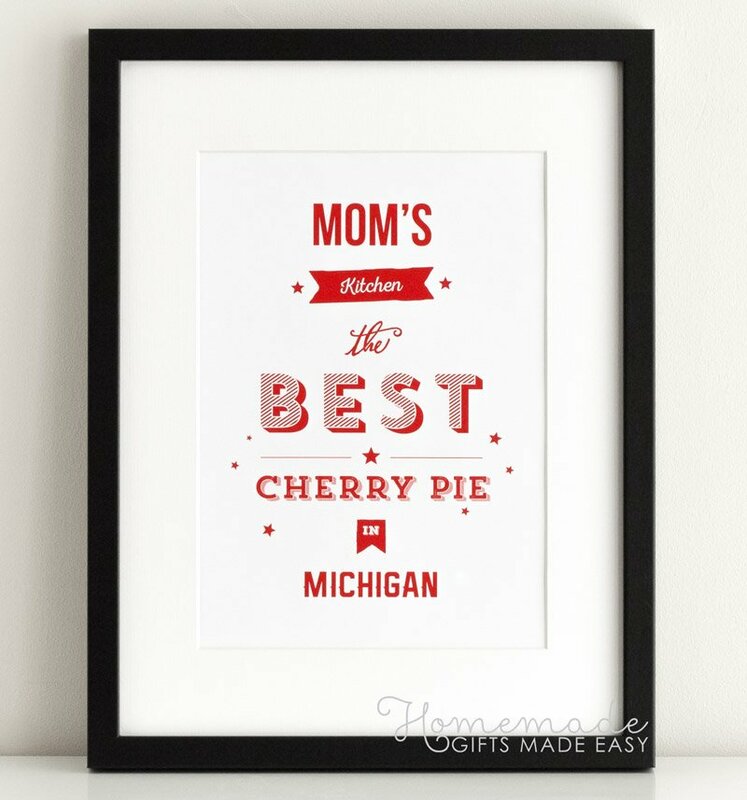 We put all the design work in for you, and so all you have to do is personalize your gift online and print at home or your local print-shop. 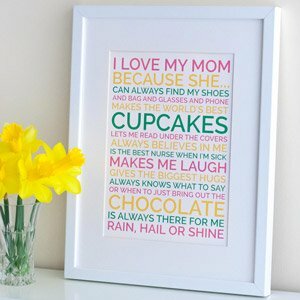 Sometimes at the last minute you need a gift but you don't have the right craft materials or equipment to make the gift you've seen on Pinterest, we've all been there! But with this collection all you need is a printer and some thoughtful creativity. If you're looking for more craft-based homemade Christmas gift ideas, check out our collection of tutorials on our Christmas gifts page. Christmas is a wonderful excuse to be romantic! 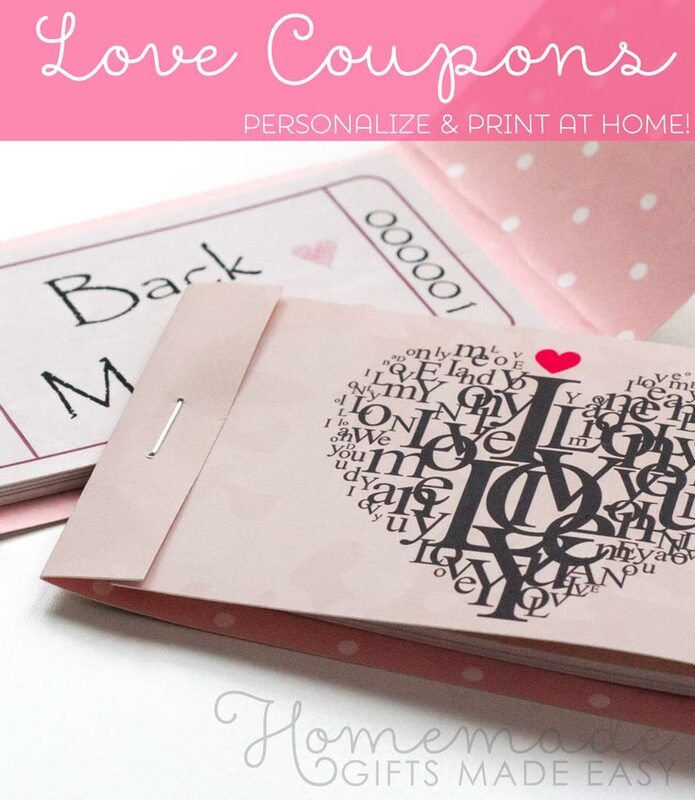 These printable love coupons are a gift that keep giving, and with editable text you can tailor them perfectly to your loved one. And don't forget dad! If he's anything like my dad, he'll appreciate a coupon with "1 day king of the remote control"! 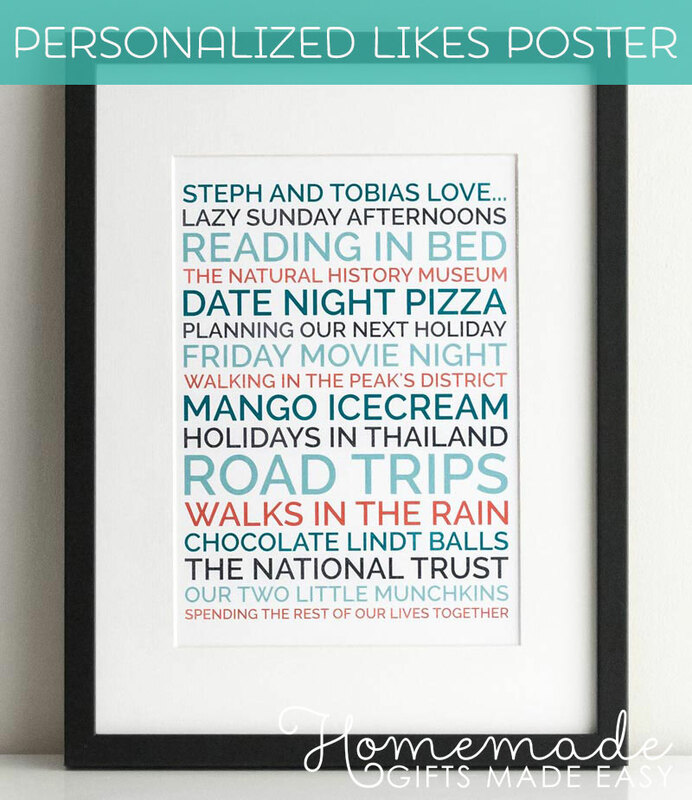 Make a personalised poster of all the things you and your husband (best friend, sister, family...) love doing together! These posters are so quick to make and have lots of gorgeous color palettes to choose from. 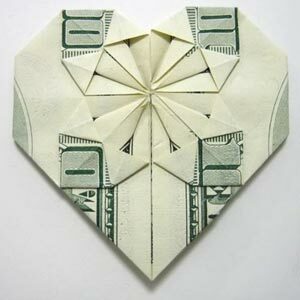 It's such a simple idea but shows that you've really thought about the person you're making it for, and is worth so much more than a cheap pair of socks from the store! 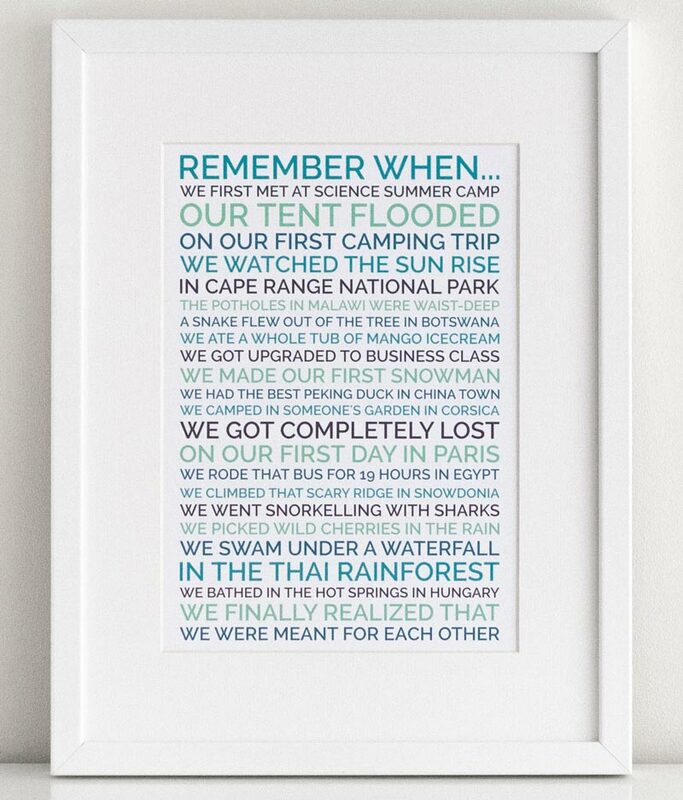 There is also a "Remember When" version, where you can reminisce over all fun things you've done together in the past. I've got one up in my house and I get warm-fuzzies everytime I see it. 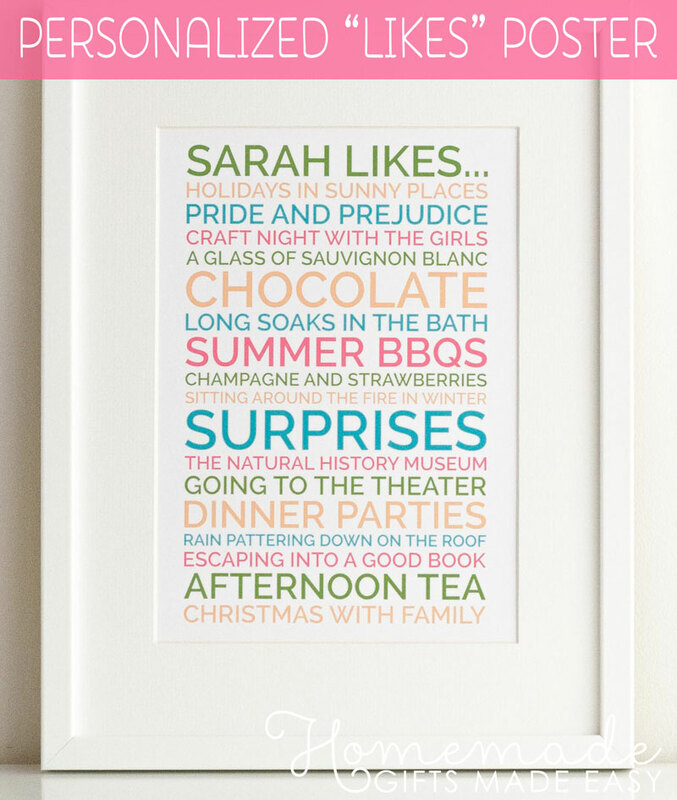 A "likes poster" is more than a just a gift, it's a compliment, because it shows how well you know a person and all the quirky things they like. 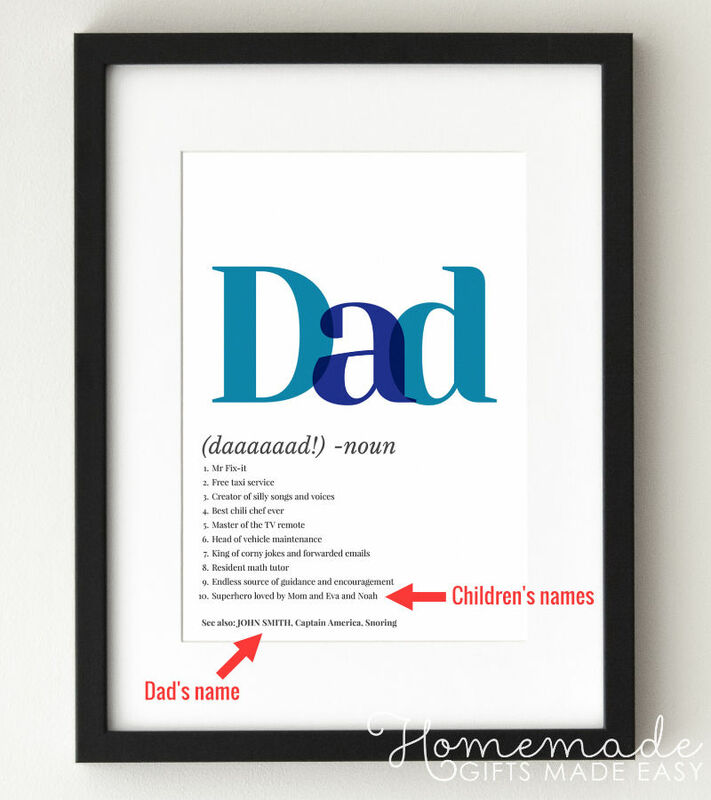 Making your poster is easy - our poster generator takes care of all the formatting for you. Does your mom (or aunt, sister, brother, dad...) have a special recipe that you think they cook better than anyone else in the world? 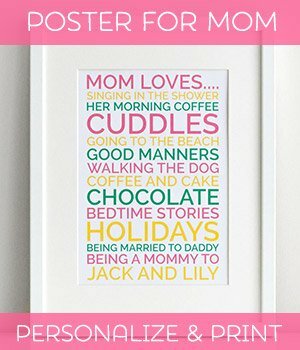 Let them know how much you appreciate it with a gorgeous personalized poster. And it doesn't have to be a savoury or sweet dish, you could choose a cocktail, beer, or other beverage too. With fabulous colors to choose from, it's a versatile and inexpensive homemade Christmas gift idea! 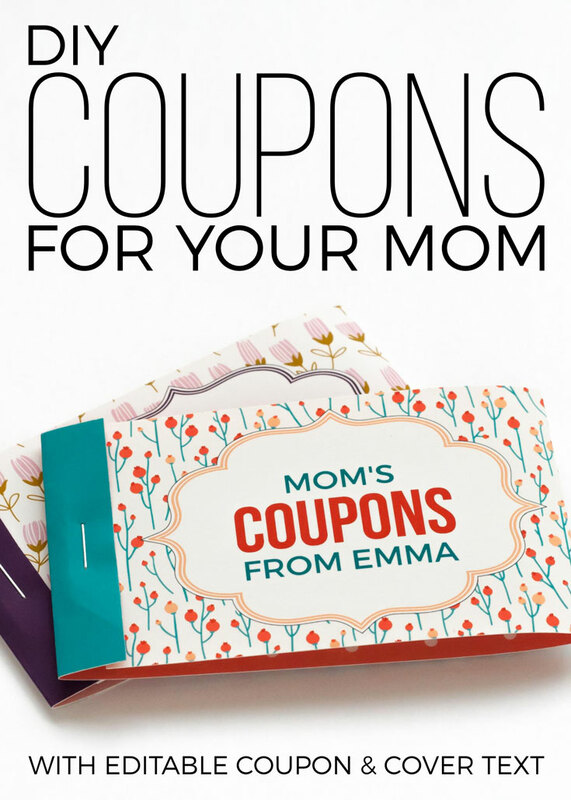 Looking for a special gift idea for your mom or dad? 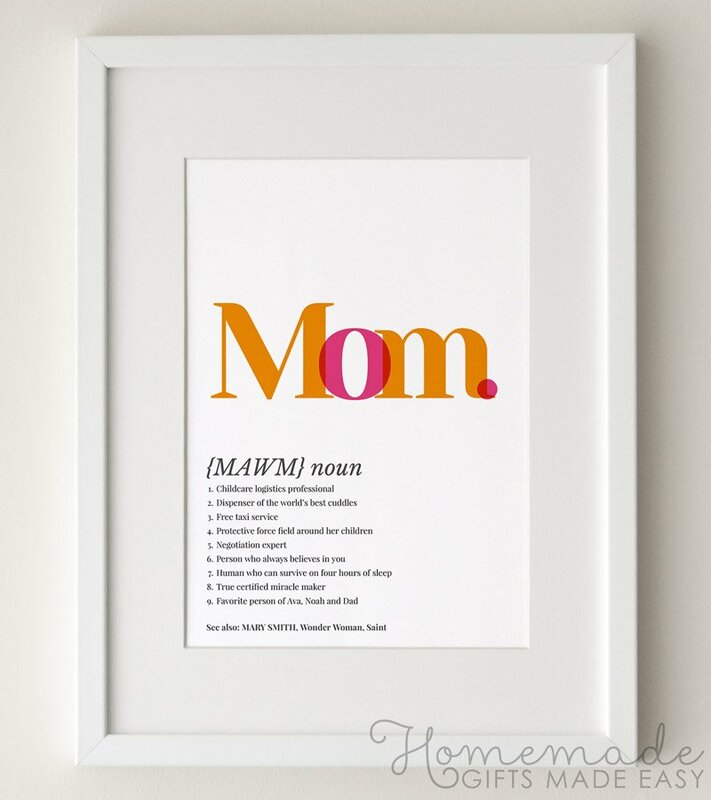 Make a personalized poster with a 'dictionary definition' of Mom or Dad, which celebrates all the fabulous things about your them. Making your poster is easy with our online poster-generator. 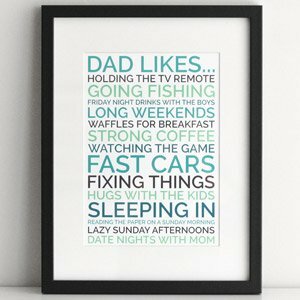 What does your dad mean to you? 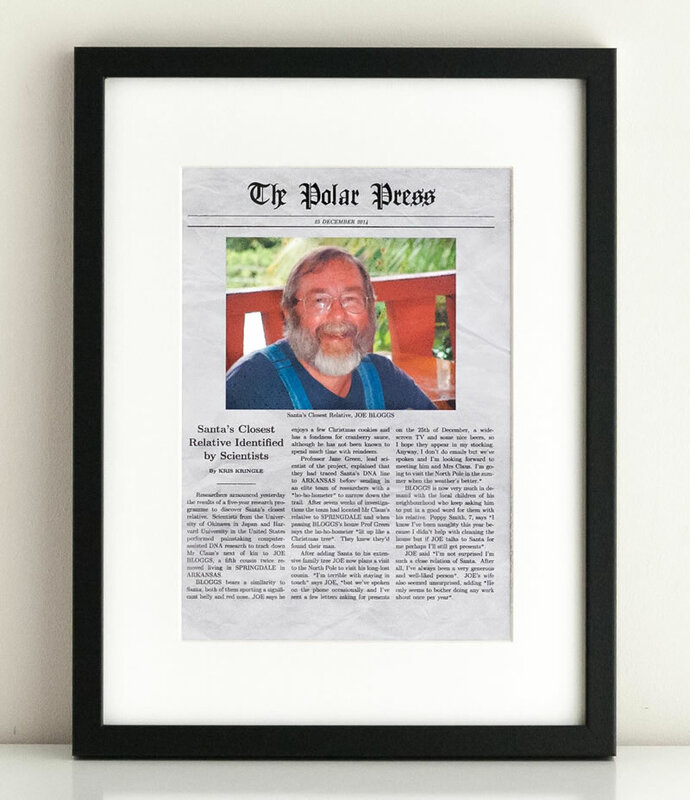 Let him know with this fun and quirky inexpensive homemade christmas gift for Dad. 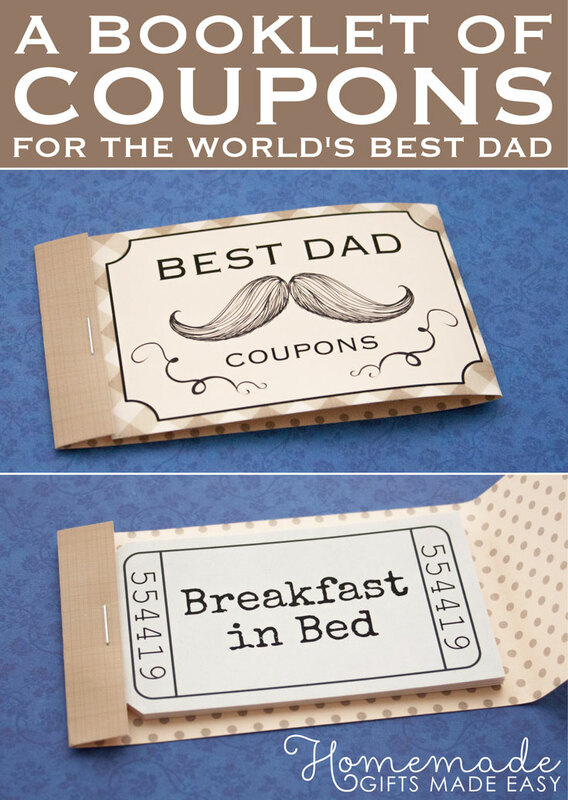 I love this idea, it's perfect for the guy who has everything and is hard to buy for. 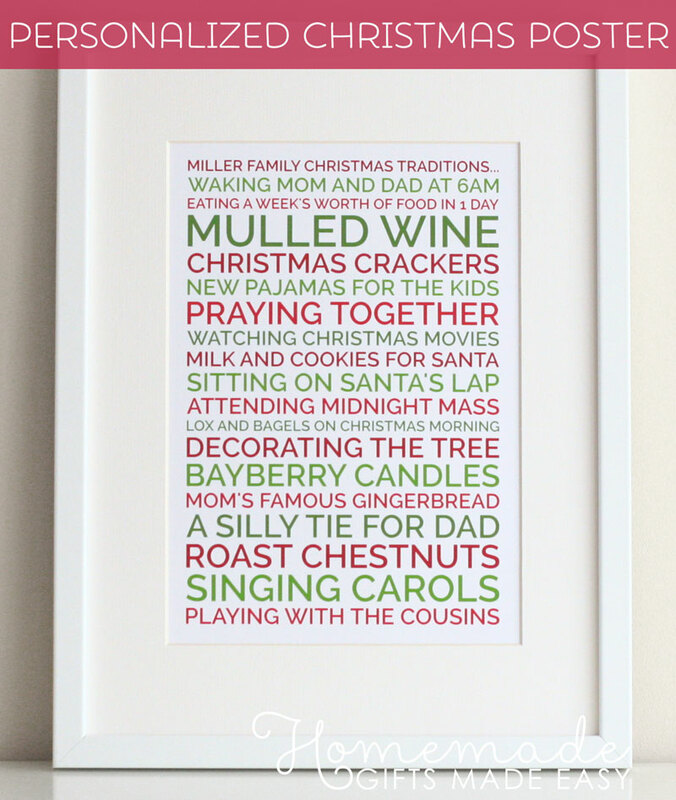 It's a good laugh for everyone at the Christmas party or dinner table, and is fun to make and personalize. A very unique and inexpensive homemade Christmas gift idea. I hope you you found these inexpensive homemade Christmas gift ideas helpful and that you found something you'd like to make.